This month sees the start of the Wimbledon championships once again. This will be the 131st time the famous tournament opens their gates, and we would like to invite you into ours. Our screens will be showcasing all the action, including the big finals weekend on the 15th & 16th of July. 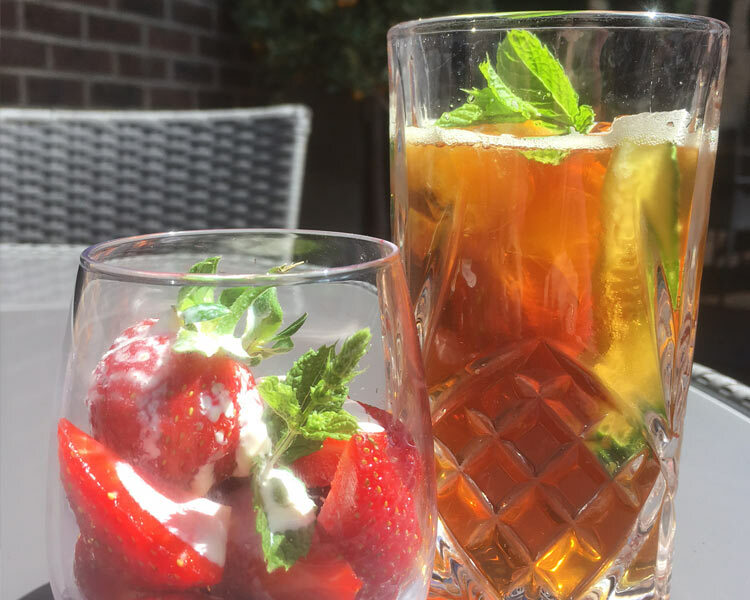 Come and relax on our new patio furniture in our pretty courtyard, or lounge indoors in our snug whilst sipping on a glass of Pimm’s and munching on Strawberry’s & Cream for £6.95, (from Sat 15th July) there’s nothing more British, making it the perfect match for Wimbledon.